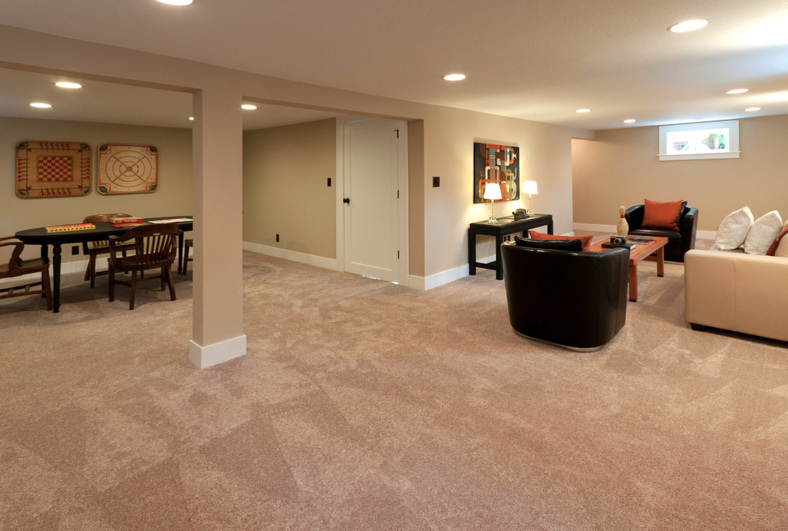 Previously, we looked at some helpful basement cleanout tips and now, we’re looking at some of the best basement finishing ideas. The basement is a great place to add more livable square footage without going through the trouble and cost of building a home addition. It’s perfect because it’s generally untapped space that’s just waiting to be put to good use. But, you’ve got to make that particular use or set of uses into something with broad appeal. So, let’s take a look at a few basement finishing ideas. The best part about converting a basement into a living space or play space is that it adds a good amount of value to your home. Much like cleaning out an attic to convert it, there are a number of ways to go. But, think carefully about what you make the space into because it could well be an obstacle, if you plan to sell in the future. One downside to a finishing a basement is the costs can easily get out of control. A utility room. Many households use the basement in a completely utilitarian manner and this is great idea. If you go this route, you’ll have a dedicated space for laundry, hobbies, and more. Plus, doing this won’t come at much of a cost. A game or media room. There’s nothing wrong with making this into a fun space, where family and friend can play games or watch movies on a giant screen. This will cost a bit more than just converting it into a utility space but it will provide many years of enjoyment. An apartment. If you really want to get the most out of your basement, you might consider converting it into an apartment. While this will come with a substantial price tag, it will be worthwhile over time. An entertainment space. It doesn’t have to be a total media or game room. You can simply convert it into a living space for entertaining guests. With the right furniture, it can double as a guest suite, complete with its own bathroom. If you are going into a basement finishing project, go ahead and phone 800-433-1094 or visit Junk Garbage Removal to schedule junk removal or construction and remodeling debris removal. We are here to help you turn your dream into a reality and make new livable square footage.